At least two chapters of Cosmos have been adapted and republished as standalone stories. Follow the links on this page to read the full text. As the Associate Editor of Science Fiction Digest / Fantasy Magazine, Mort Weisinger played an active part in the creation of Cosmos. 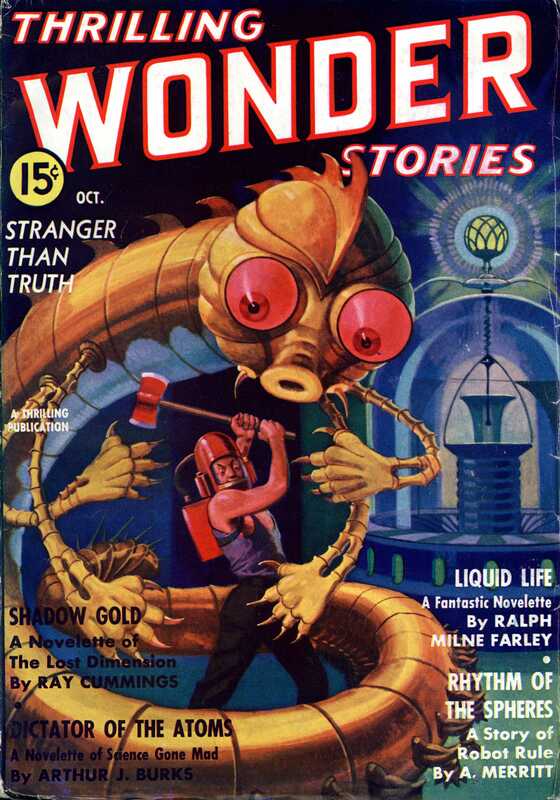 In 1936, Weisinger became the editor of Thrilling Wonder Stories. In the second issue under his management (October, 1936), he published Rhythm of the Spheres, a somewhat modified version of A. Merritt’s chapter, The Last Poet and the Robots. This story subsequently appeared in the 1949 posthumous Merritt anthology The Fox Woman & Other Stories (Avon Books 214), and in Eric Rabkin’s 1983 collection Science Fiction: A Historical Anthology (Oxford University Press). 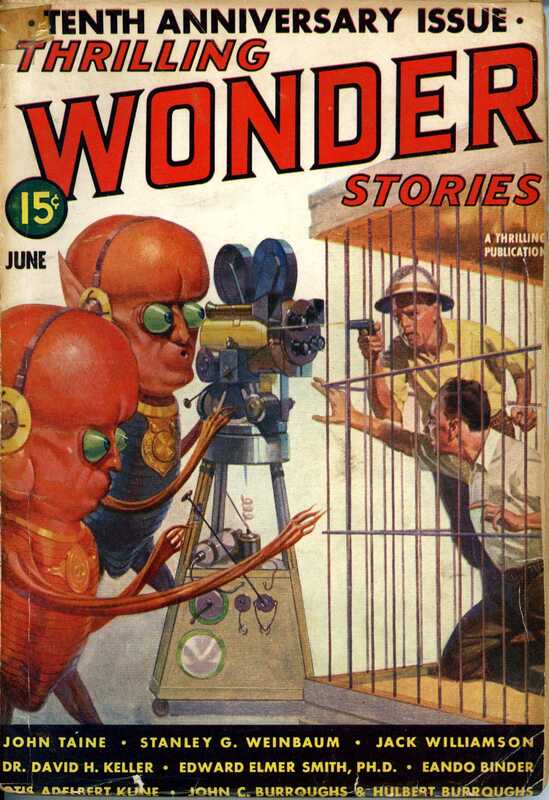 In the June, 1939 issue, Thrilling Wonder Stories published Robot Nemesis, an adaptation of E.E. Smith’s Cosmos chapter, What a Course! This story reappeared in The Best of EE ‘Doc’ Smith (Orbit, 1975) and The Second E. E. ‘Doc’ Smith Omnibus (PageTurner, 2009). This is a much more substantial re-write than Merritt’s, with significant new passages added and two new interior illustrations by Virgil Finlay.